The appearance of your yard has a significant impact on the overall value of your home with a nicely landscaped lawn often contributing to top dollar in the resale market. A house with good curb appeal also creates a powerful and lasting first impression on potential buyers, especially since many buyers use “drive-bys” and pictures in online listings now days to determine their initial interest in buying a house. If you’re looking to resell your home now or in the future, you may be wondering what kind of landscaping changes will give you the biggest bang for your buck. This list of landscaping tips will highlight the landscaping improvements that can add the most value to your home. Adding color improves the visual appeal of your home, and therefore its value. You can add color by choosing flowering trees or colorful flowers to include in your flower beds. However, when adding color, don’t go overboard. Too many colors can be overwhelming and can look too hard to maintain. You should also choose native plants, which lower the cost of upkeep compared to non-native varieties. After you’ve spruced your flower beds up with a dash of color, use mulch to help the colors stand out. Trees can also improve the value of your home. Young trees are ideal if you aren’t planning to move right away because they cost less, but you can also order mature trees from a local nursery if needed. Adding trees can impact your property value and provide other benefits such as storm water runoff, carbon dioxide reduction, and energy benefits. Treebenefits.com offers this handy calculator that estimates the benefits of trees by zip code. One of the most basic landscaping improvements you can make is to invest in proper lawn care to green your grass and improve the health of your lawn. To enhance nutrient and water intake, take steps such as aerating your lawn and removing thatch. Get a soil test to learn about the components of your soil, then get matched up with the proper fertilizer to restore your soil’s pH and nutrients to the proper level. Use proper watering techniques (deep soaking about 1.5” per week in the early morning hours) and proper mowing techniques (mowing to 2.5-3.5 inches with a sharp blade that will produce a clean cut). Pruning and trimming your shrubs and bushes not only helps define their shape, but also creates a balance between the plant and your home. Shrubs and bushes that are overgrown and too close to your structure give the appearance that they are actually overtaking your home. Pruning and trimming can really redefine the area, but just be sure to avoid these common tree trimming and pruning mistakes. Your landscaping choices can also help you define space, creating clean lines and an organized look. One thing you can do is to edge your lawn to create a neat separation between the lawn and paved spaces, paths and garden beds. You can also go a step further and create a border using brick, stone or other materials. 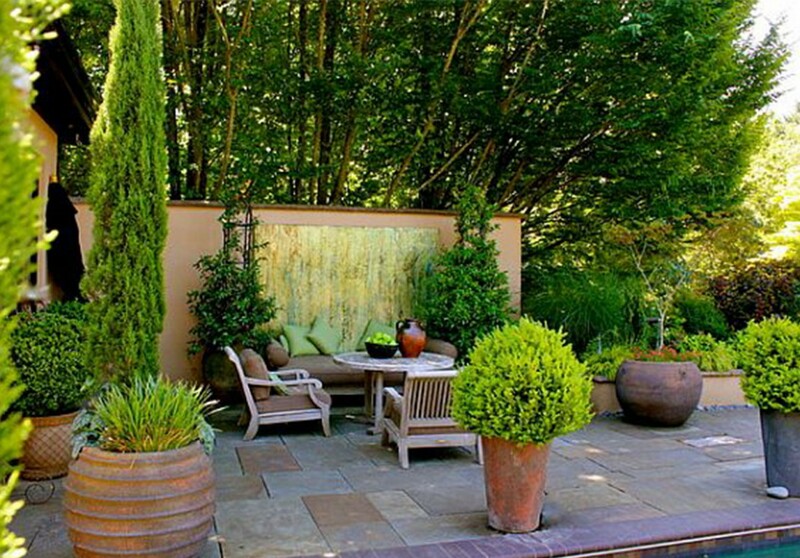 Finally, you can define the edge of your property and give added privacy by adding tall shrubs or a fence. Here are some great edging and border ideas to get you going. Landscape lighting is a nice upgrade that can highlight the other landscaping work you’ve done. Lighting can help draw attention to focal points around the yard. It can also improve the safety and security of your home, and remember that soft lighting helps your home feel warm and inviting. A final tip is to clean up your yard, not only for visual appeal but also for safety. Hazardous limbs or dead trees should be removed, tree stumps grinded down, and other dead plants or fallen branches should be cleaned up to improve the look of your lawn. The right landscaping changes can have a positive impact on your home’s value and its appeal to potential buyers, and there are ideas at every price point, making landscaping a possibility for any budget. By following these helpful landscaping tips, you’re sure to improve your home’s curb appeal and sales price.